Age Before Beauty is a British 60 minute scripted drama television series, which kicked off on July 31, 2018, on BBC One and is broadcast every Tuesday at 21:00. The show is currently in its 1st season. BBC One opted not to pick up Age Before Beauty for Season 2. 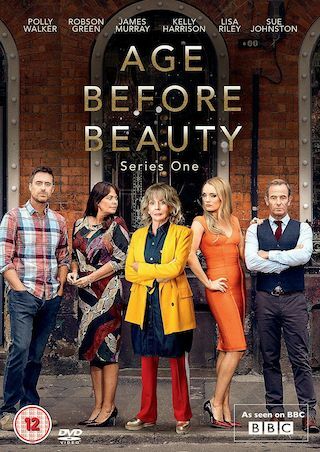 Age Before Beauty officially canceled on BBC One. Sign up to track down your favorite TV shows. Married to Wesley for 25 years, Bel has spent the last 18 years as a homemaker and mum to their twins, but having just waved them off to university, now has a void in her life. Enter Teddy , brother-in-law and long-time best friend, begging her to step in and rescue the family business - a down-at-heel beauty salon in Manchester's Northern Quarter. Like Bel, it could do with a bit of a face-lift. And possibly a clear-out, since it employs her high-maintenance family: mother Ivy-Rae, sisters Leanne, Tina and Heidi. can Bel reconcile the demands of her business, her warring family and the problems in her marriage?